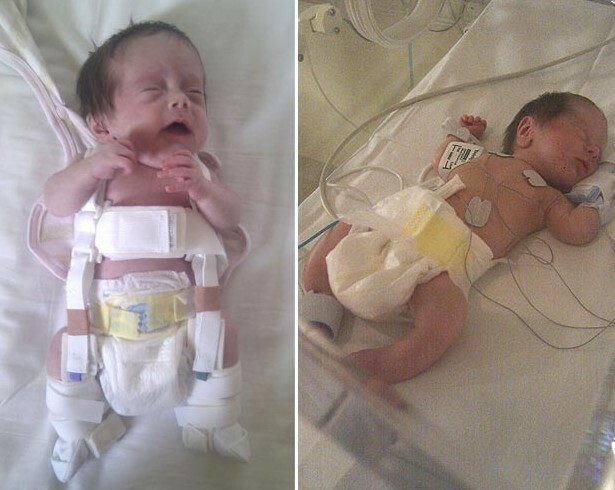 A SET of twin girls suffer from a rare condition which means they are as fragile as CHINA DOLLS. 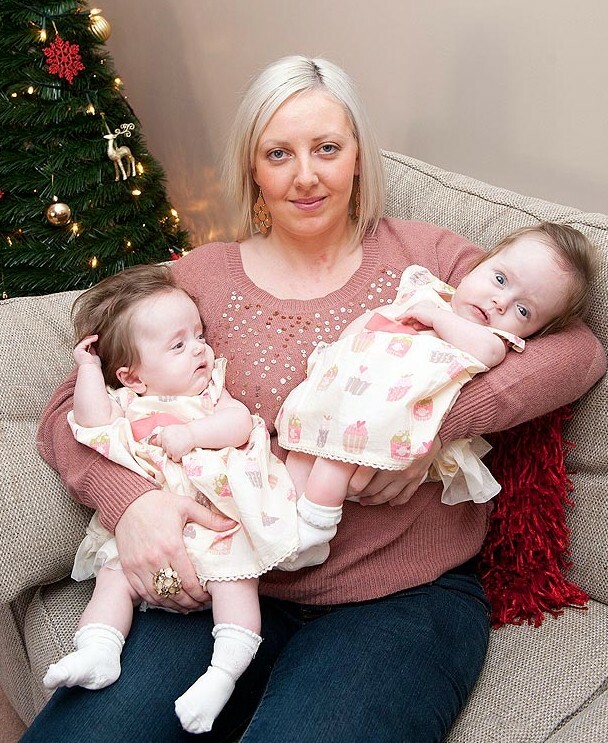 Five-month-old twins Amy and Ava Cowan, from Cambuslang, South Lanarkshire, were born with Osteogenesis Imperfecta (OI) – otherwise known as brittle bones. OI sufferers can repeatedly break their bones and may experience several hundred fractures throughout their lifetime. The condition is so rare that it affects just one in 15,000 people in the UK. The twins’ mum, Charmaine, said: "The girls are so delicate that however gentle we are with them they’re bound to break something. "In one of the first X-rays we had after they were born the results showed they had 12 broken bones between them. I just couldn’t believe it – they’d barely moved. "It’s heartbreaking because I hate to see my girls in pain, but the slightest knock can mean a break." Charmaine, 29, and husband John, 30, have to be extra careful with their tiny daughters, as it doesn’t take much to break their fragile bones. "One day I was bathing Ava gently under her arm when I felt it go limp. "I froze and shouted out to my husband – I’d just broken her arm. "We rushed Ava to A&E, but we were only back from the hospital for five minutes when Amy had broken her leg by wriggling in her cot. "It was my first experience of the girls breaking their bones at home, and I just had no idea how I was going to be able to handle it." Even holding the fragile twins can be fraught with danger. "When they were first born, whenever I’d hold the girls I’d place them on support cushions, and to feed them I’d rest them on pillows. "I would only dress them in romper suits with velcro fastenings so I could slip their clothes on and off quickly. "As they’ve got older I’m much more confident with them. But you just have to be so careful." Charmaine was just 23 weeks pregnant when she was told her children would be born with health problems – and doctors advised her to terminate the pregnancy. "It was absolutely devastating. It was explained that the girls would be injected in the heart to terminate the pregnancy, and then I would have to deliver them. "The thought of having to plan a funeral for them was horrendous. "We were in two minds about what to do until I had a 4D scan. "As soon as I saw their perfect little faces I knew there was no way I could have an abortion. They were my little girls, and I’d love them no matter what." 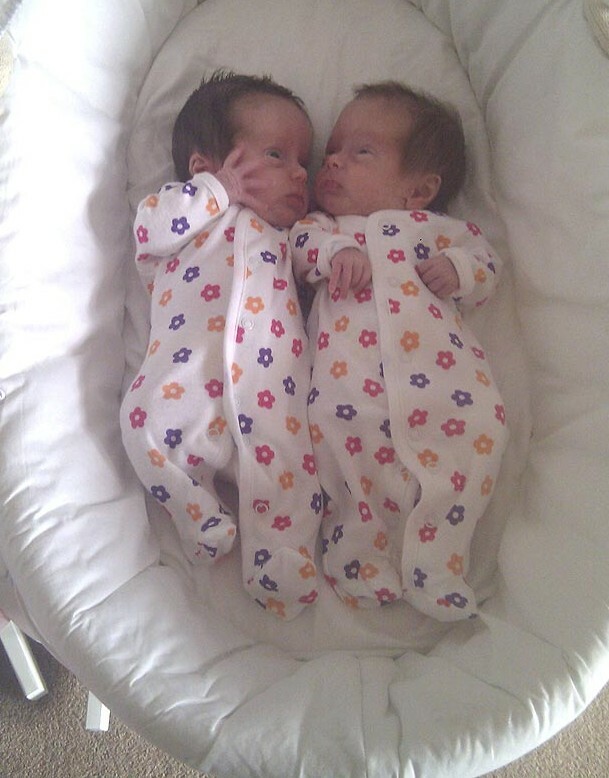 Charmaine was given an emergency caesarean section and delivered Amy and Ava on June 25 2012. Older twin Amy spent a short time in special care, but it wasn’t long before Charmaine and John were able to take their two seemingly healthy baby girls home. "As soon as we got them home we knew something wasn’t right. They constantly let out a high-pitched scream and whatever we did we just couldn’t stop them from crying. "At 11 days old, the girls were referred to Yorkhill Children’s Hospital in Glasgow and given a full body scan – it was then the doctors noticed how many breaks they had. "The consultant took us into a room and told us straightaway that it looked like the girls had OI. "I was terrified. I had no idea what that meant, or how it would affect them. I just didn’t understand." The girls were put on bone-strengthening drug pamidronate and were discharged from hospital. It’s been a steep learning curve for the family but, since the twins’ diagnosis, Charmaine, John, and there three older children have been learning to deal with the condition. "My other children, Sophia four, Kaelan two, and Airan one, don’t really understand why they have to be so careful with their younger sisters, but they’re learning to be very, very gentle. "We have to make sure they all play quietly together, because if Amy and Ava get startled, and wake up with a fright, even that could break their bones. "I do worry about what the future holds but I will never regret my decision to have my beautiful baby girls. "I know they’re fighters and they already have a high pain threshold!"